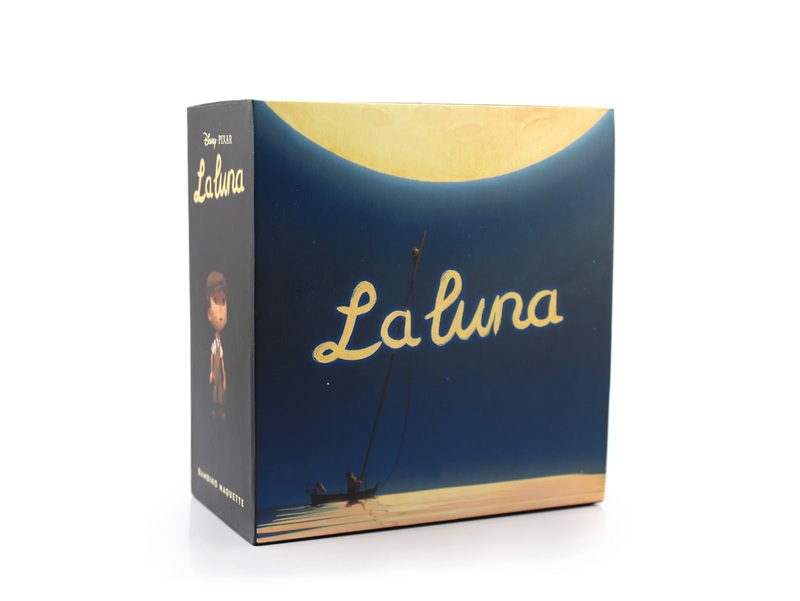 The Pixar short film La Luna (Directed by Enrico Casarosa) was released in 2012 alongside Brave in theaters. 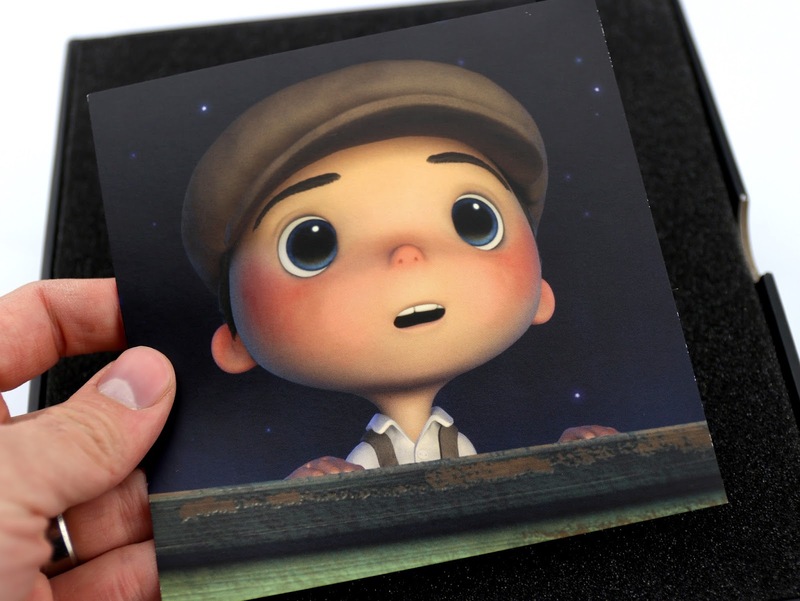 Instantaneously, it became one of my all time Pixar shorts due to its magical visuals, charming story and pure sense of imagination (not to mention the captivating score by Michael Giacchino). 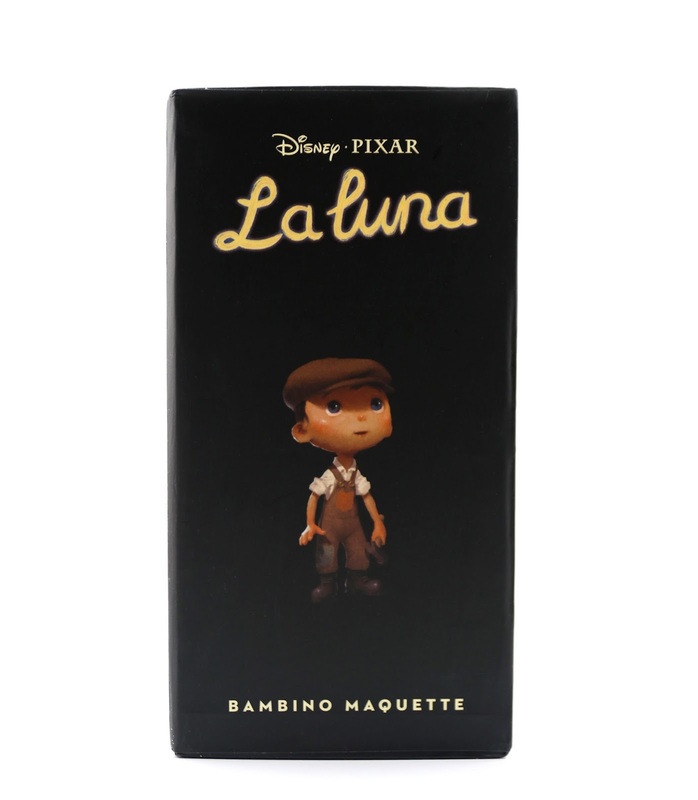 When I saw that a La Luna sculpture, or "maquette", of the main character Bambino was released at the Pixar Studio Store a few years back, I knew I needed to track it down for my collection. I never thought I would be able to afford it however. 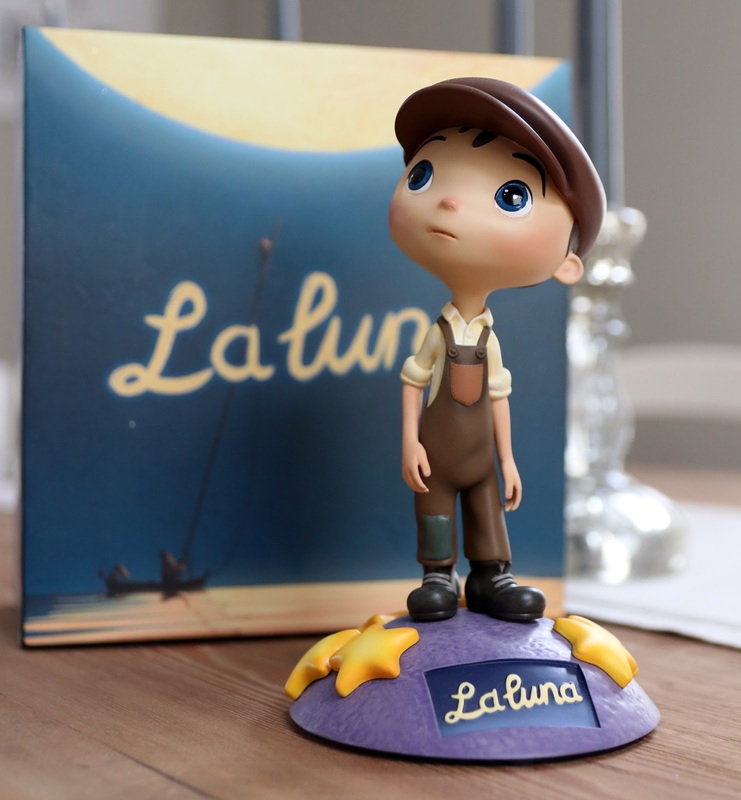 Since it was released exclusively at the Pixar Studio Store (for employees and invites only), I understood that it would be incredibly hard to come by—especially since it's a limited edition of only 500 made. One would pop up on eBay every once in a while, but I could never justify the $300-$400 price tag of the second hand market. Long story short, I finally lived out my dream of shopping at Studio Store this past November and they still had a few maquettes in stock!! I picked it up there for the normal selling price of $120. 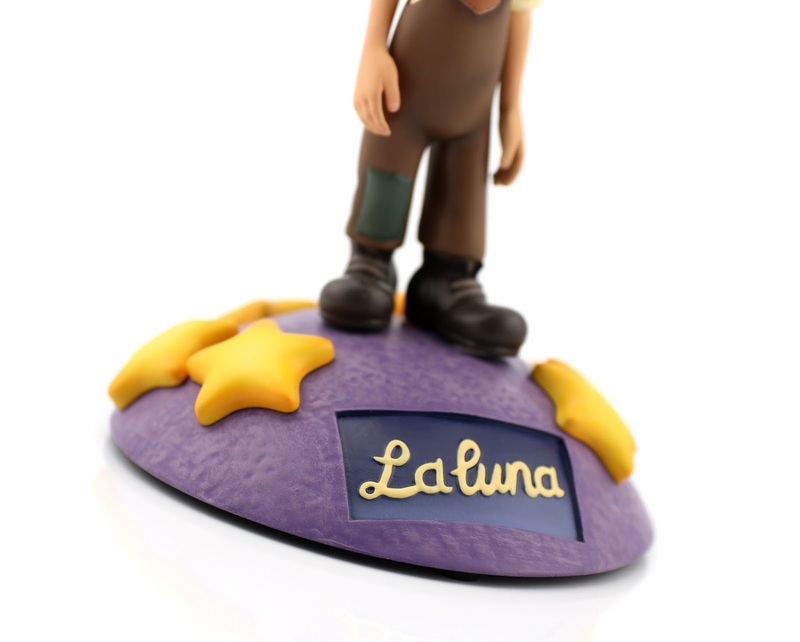 With all that said, let's dig in and take a detailed look at this incredible figurine! The box was most certainly designed with collectors in mind. 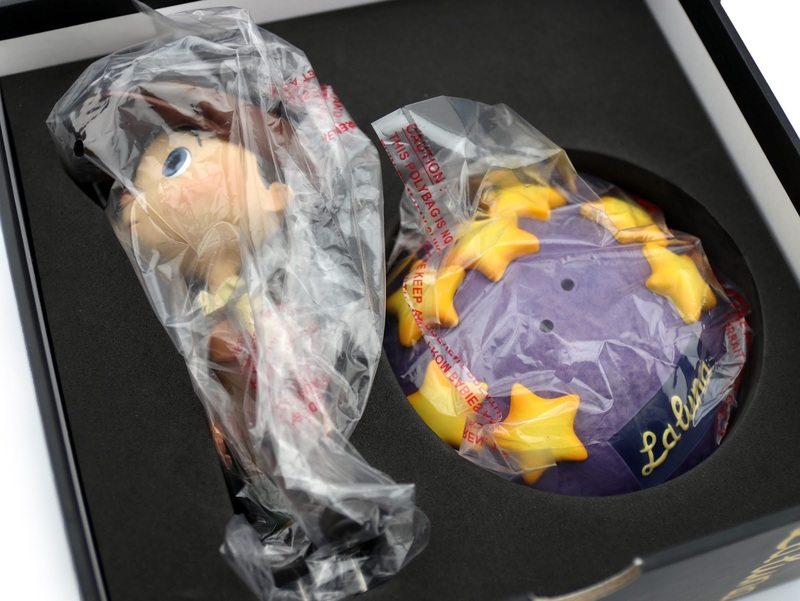 It's so beautifully done; I really like how the inner foam/packaging pulls out like a drawer. Here's my certificate of authenticity signed by the director! I got #65 out of 500, which is pretty good I'd say. 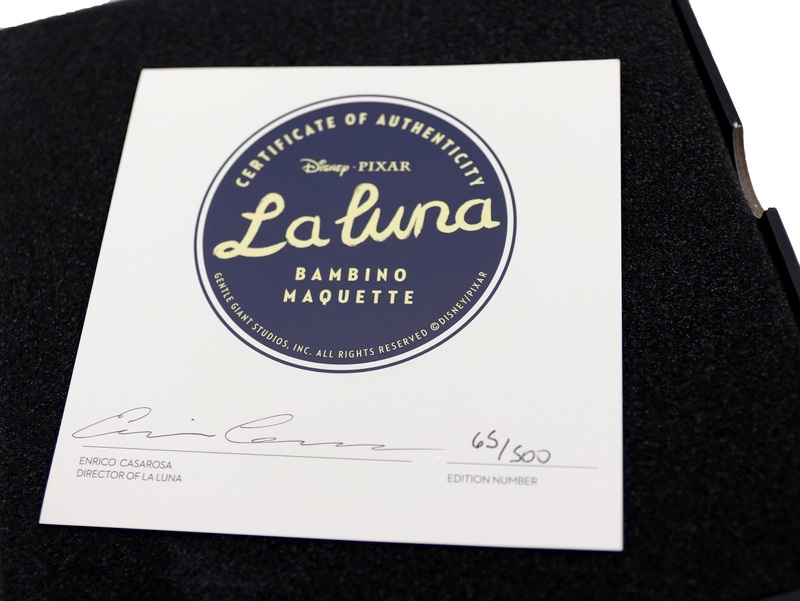 Below is the reverse side of certificate, which features a nice little screenshot of the boy himself, Bambino! 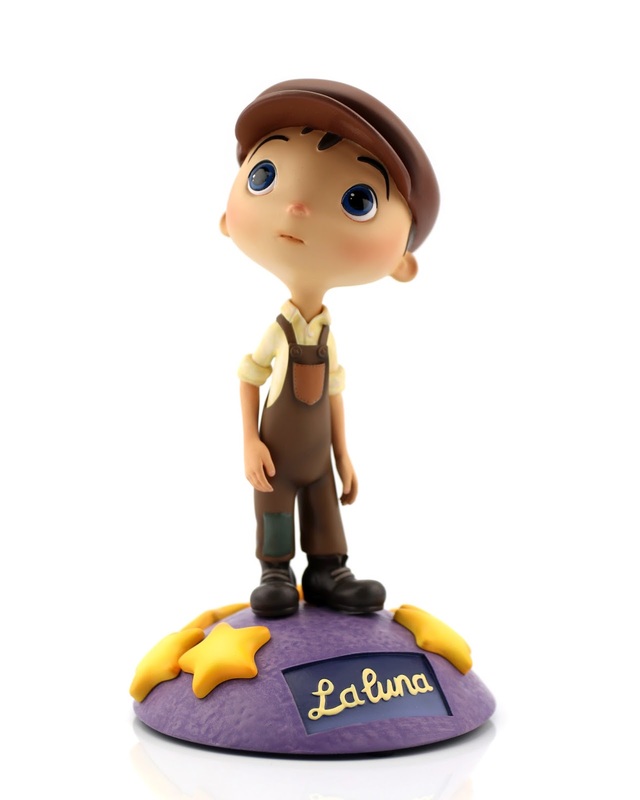 The maquette comes in two pieces; Bambino and the moon/star base with the film's logo—both packaged comfortably (and safely) in custom foam. And here it is all assembled. Just look at this thing! I know I say this too often, but this really is (without a doubt) one of the most beautifully crafted pieces I own. The sculpt, the likeness, the paint...this thing is everything! It's really like this character stepped right out of the TV screen and onto my shelf. It's flawless. No complaints. Everything here is sculpted from a very fragile resin material. 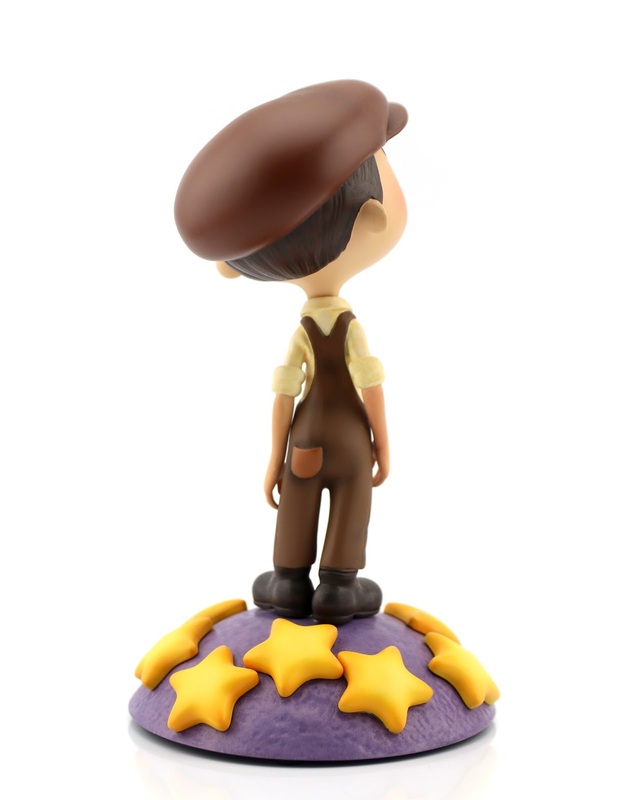 The entire maquette is about 6.5" tall from the bottom of the base to the top of his hat. The base by itself has a 4" diameter. I feel so lucky to finally have this up on my shelf in my Pixar home office. I've pictured displaying this for ages and it looks as good as I hoped! 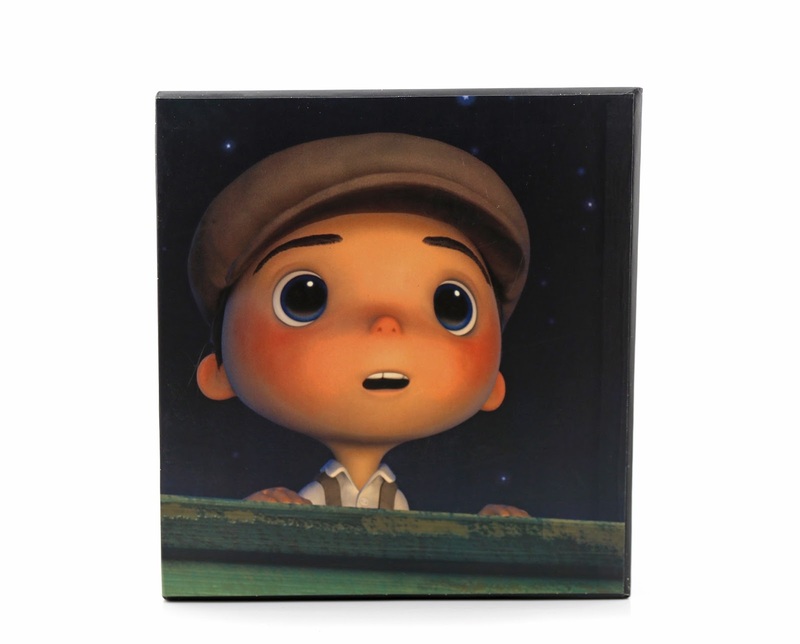 If you're looking to get this for your Pixar collection and are willing to pay a pretty penny, keep checking eBay for new listings (I still see them pop up once in a while). 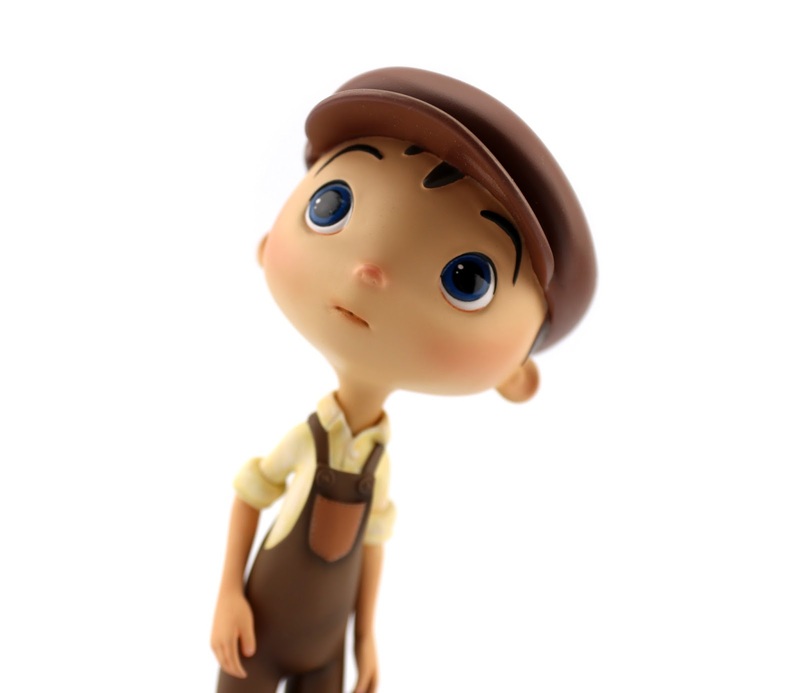 Or [the ideal situation] if you're lucky enough to shop at the Pixar Studio Store in the near future, definitely pick him up there (don't even hesitate). Well I think that about covers it! I'm looking forward to reading your thoughts or any questions you might have in the comments below. What do you think? !